The mushroom season is over now. The local buyers have closed their shops. It has been a good year. The Pine mushrooms have been bountiful in spite of the extremely dry conditions in the summer and early fall. In the basket you see a very fine collection of No. 1 rated mushrooms (buttons) that were selling this year for about $20 a pound. It always brings excitement and joy to us after Gertrud (Biene) has been combing the local forests for these precious fungi. To highlight the season I wrote this poem a few years ago. Enjoy. On the Canadian Thanksgiving Weekend our son Michael and daughter-in-law Angie dropped in on a surprise visit. And what a surprise it was! They came to help to get some firewood out of the Taite Creek area. 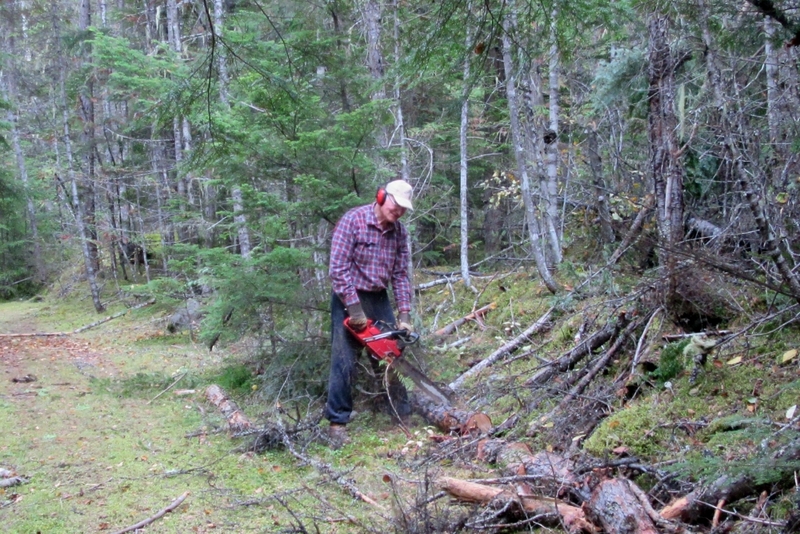 While my foot had healed quite well over the past eight weeks, our family doctor insisted that I should not yet go into the woods picking mushrooms or cutting firewood. So the following photo essay will express our joy and appreciation for what Michael and Angie have done for us. 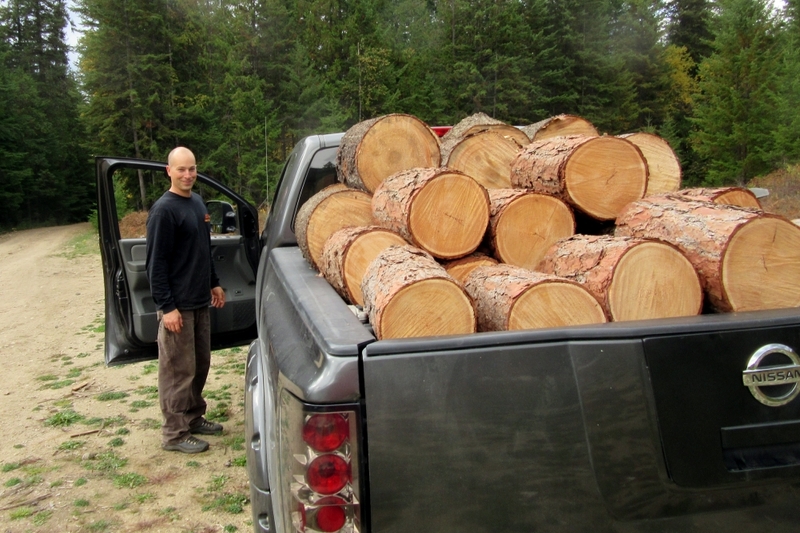 After Michael’s truck is loaded with logs from a large pine tree, Michael cuts down a larch for my small trailer. 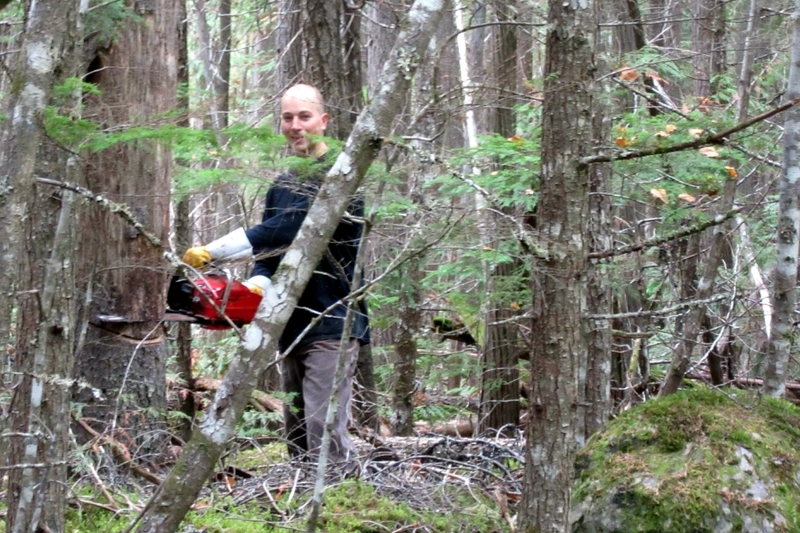 Still having to be careful with my right foot, I cut the fallen tree into small pieces, while Michael carries them to the trailer. 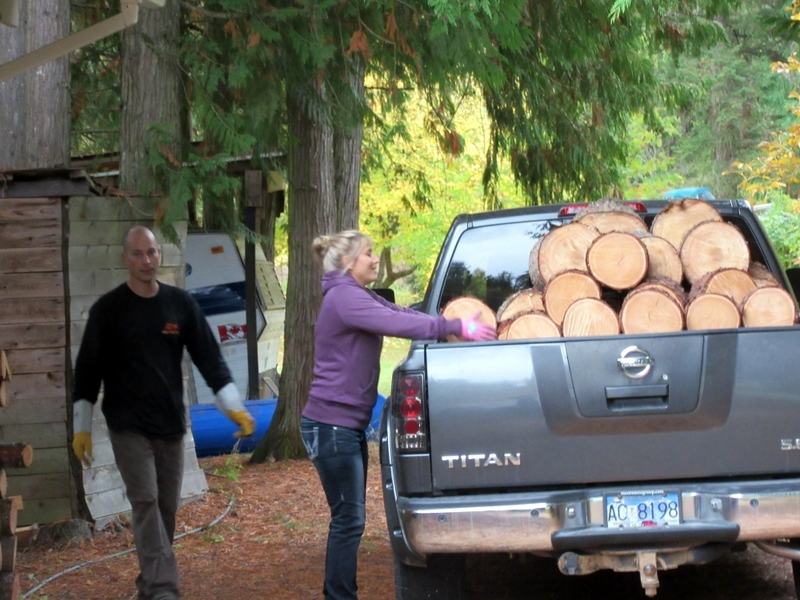 Because there is still room for more logs on the trailer, Michael cuts down another pine tree. 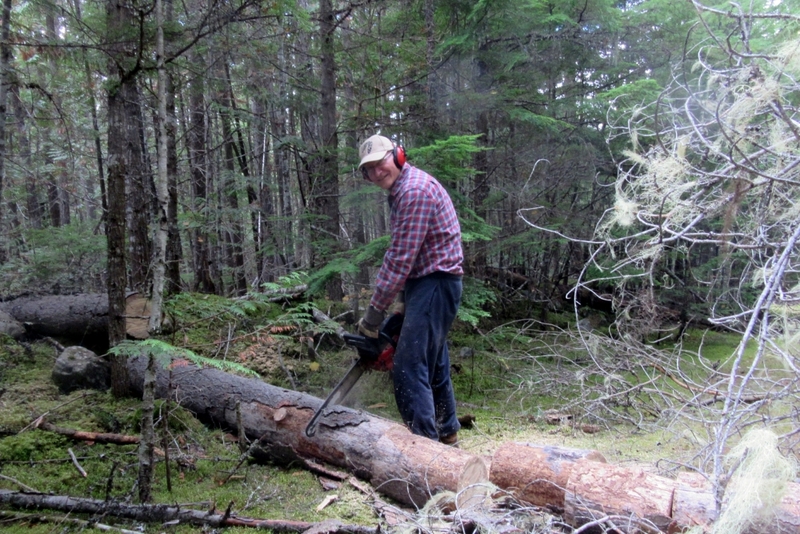 Since the fallen pine tree is blocking the road, Michael cuts the middle section out of the tree. 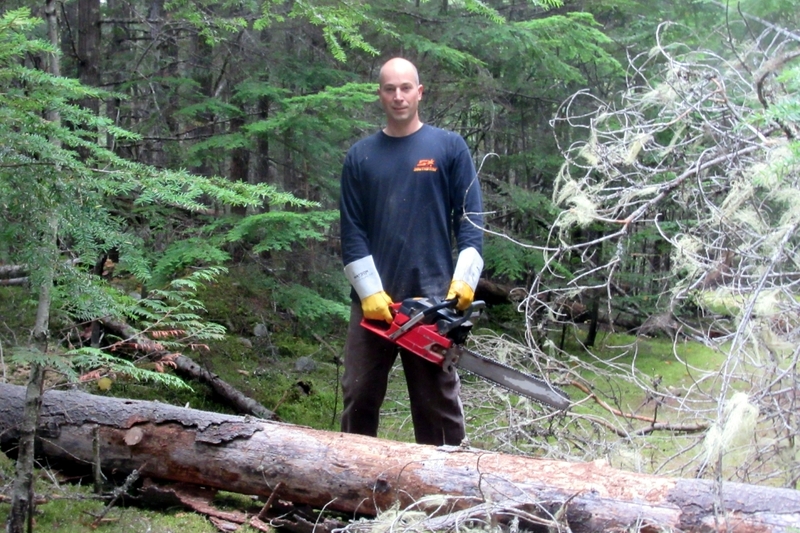 He expertly accomplishes this task by two undercuts and then proudly presents himself with the chainsaw for the photo above. 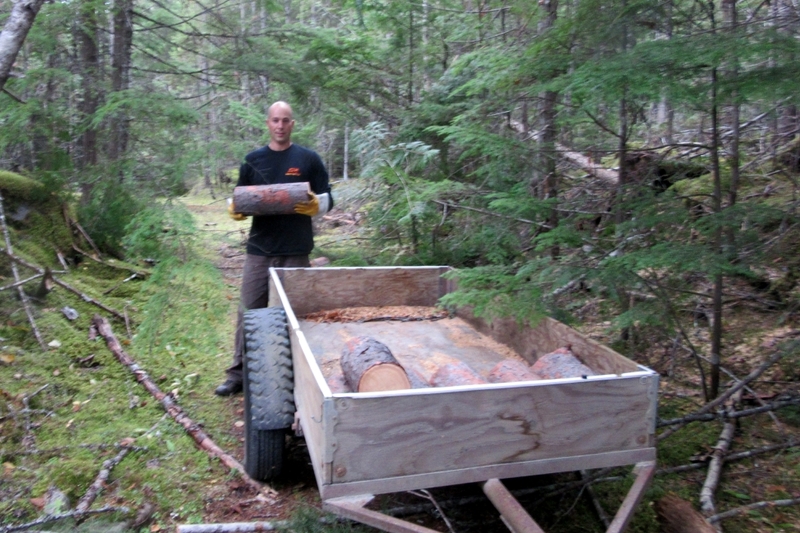 Then it is my turn to cut the large section into logs that Michael then carries to the trailer. 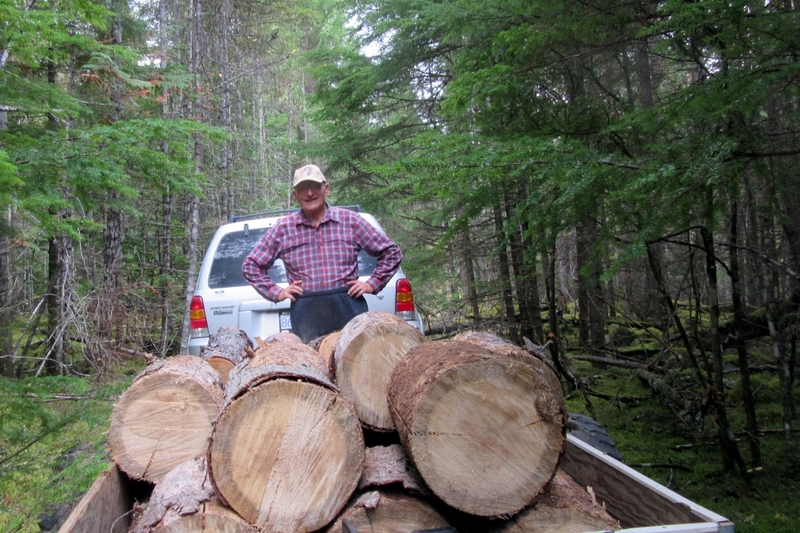 Standing behind our trailer, I am looking thankfully at the load of pine and larch firewood. 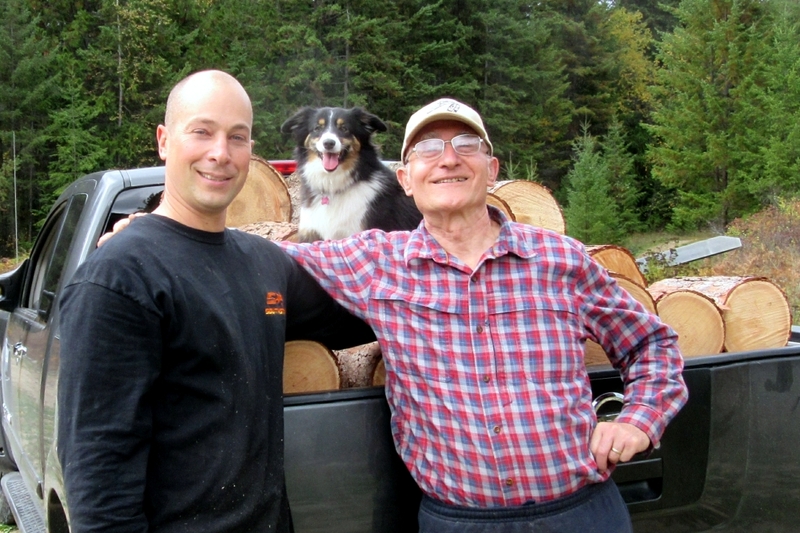 With a truck full of precious firewood, we are thankful and all smiles. Even Piper, the miniature Australian shepherd, appears to make a happy face. In the meantime Biene and Angie had been scouring the woods for those elusive pine mushrooms and are showing off their loot. Now it is time to bring home the treasure to keep us warm this coming winter season. While I am taking pictures, Michael and Angie are unloading the truck. What a joy in a father’s heart! After all this hard work, we all sat down for an early Thanksgiving dinner that Biene had so lovingly prepared before our outing into the woods. 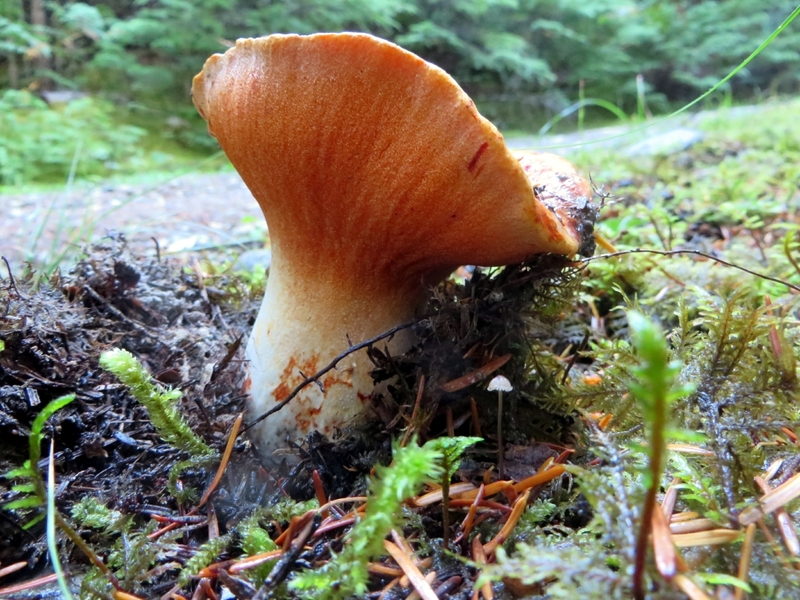 Among all the choice mushrooms growing in our forests, such as Chanterelle (Pfifferlinge), Lobster, King Boletus, Honey Mushroom, and many others, no fungus can compare in monetary value to the prized Pine Mushroom. 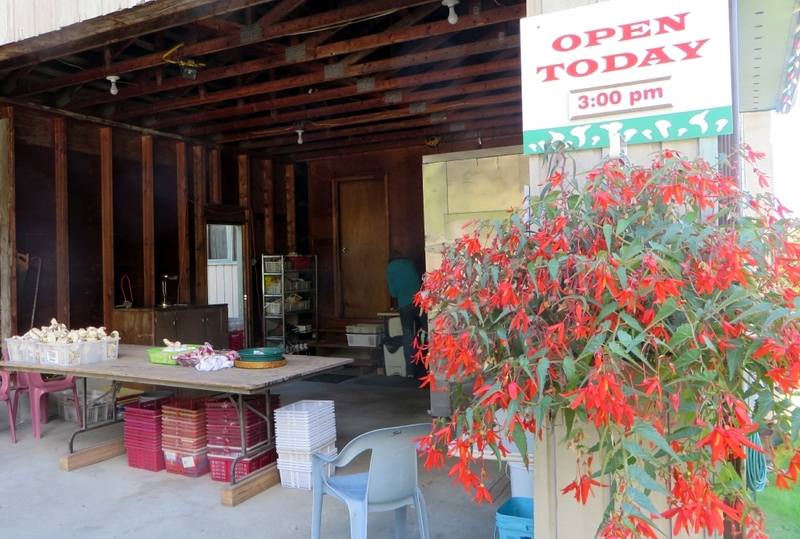 Every fall local and out-of-town mushroom buyers set up shop for the annual harvesting bonanza. This is the time of the year, when people, who would normally sleep a few extra winks on the weekends, get our of bed way before dawn and scour the woods for that elusive fungus. The article below is an excerpt taken from the Arrow Lakes News published last year in their October 29th edition. It describes very well the dilemma of the major industries in our area, timber and mushroom, being in conflict with each other over the management of our natural resources. The photos shown on this post are from my own personal archive. 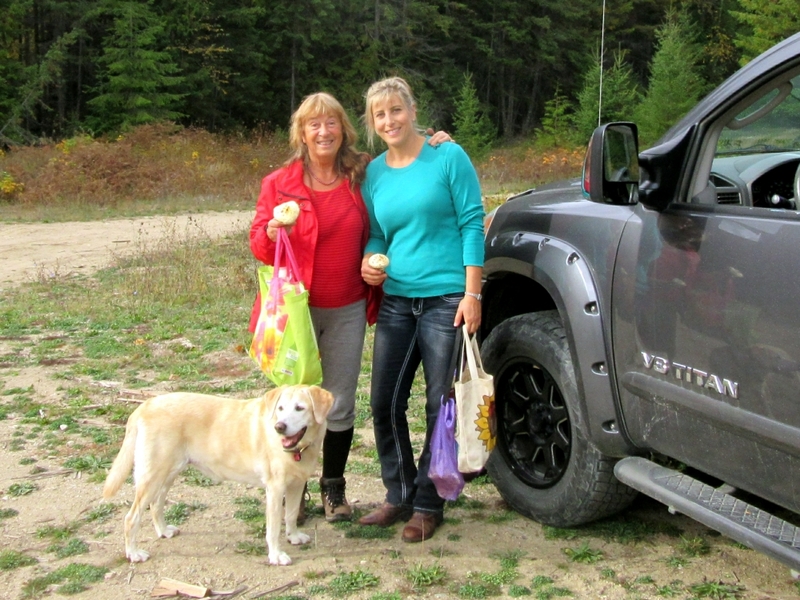 Since she was 12 years old, Jean Hewat has been involved in the mushroom industry. As a kid, she went out with her family picking for pocket-money and she’s been buying mushrooms from other pickers at her place on 15 Avenue on the north end of town for the past 21 years. With some help from her mother and occasionally other family members, she is more or less a one-woman show. The set up has moved from her garage to a new building still being finished on her property with plenty of parking and a large walk-in cooler. 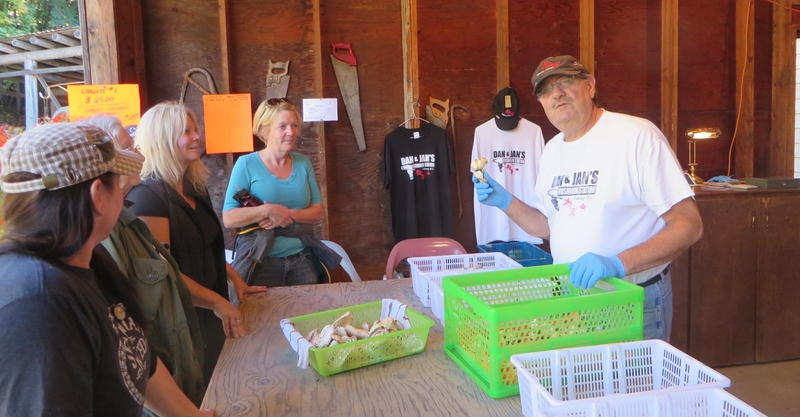 She explains the unfinished building during an interview with the Arrow Lakes News as her mother answers the phone and groups of pickers come in carrying their bounty — large buckets of freshly picked fungi. 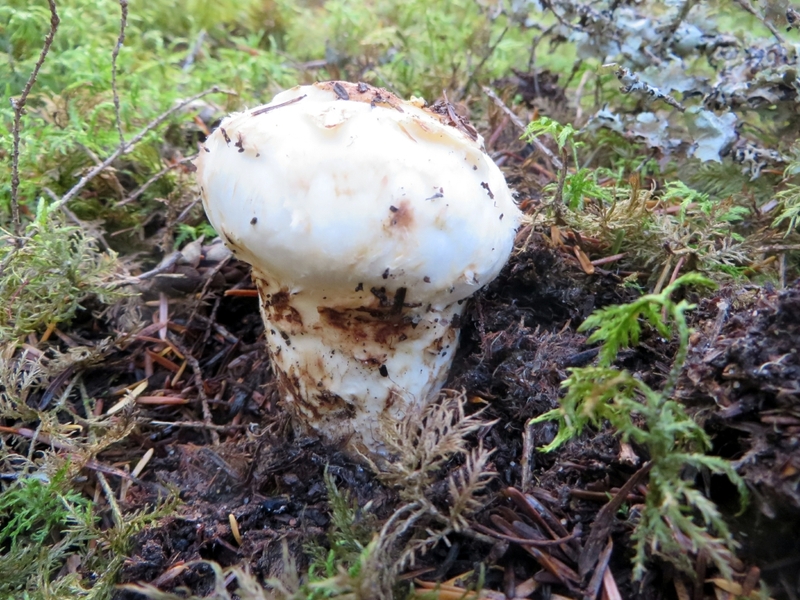 The odour inside is damp and mossy — the baskets of mushrooms are mostly the large, fluffy white pine, or Matsutake as they are known in Japan, where most of these are destined to go. 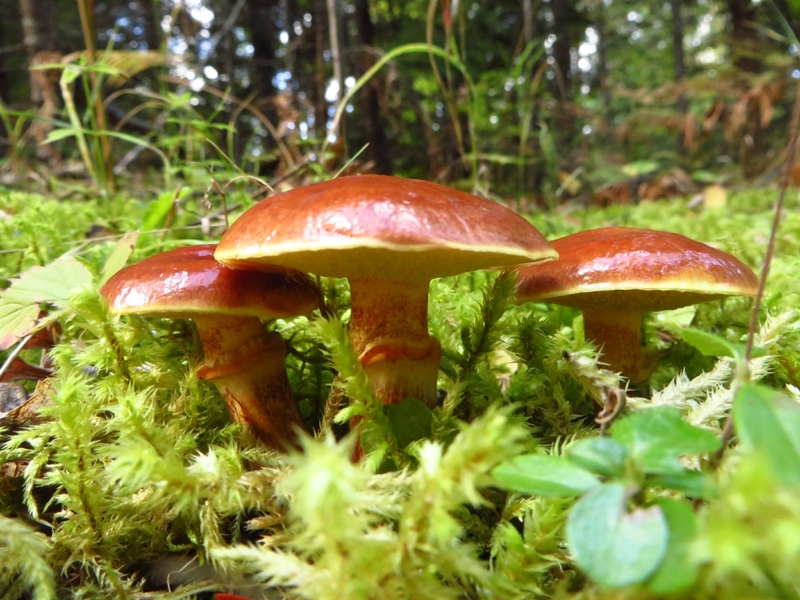 The largest market for pine mushrooms in the world is in Japan, but Canada is not the only supplier. They are also grown in the US, China, Scandinavia and elsewhere. 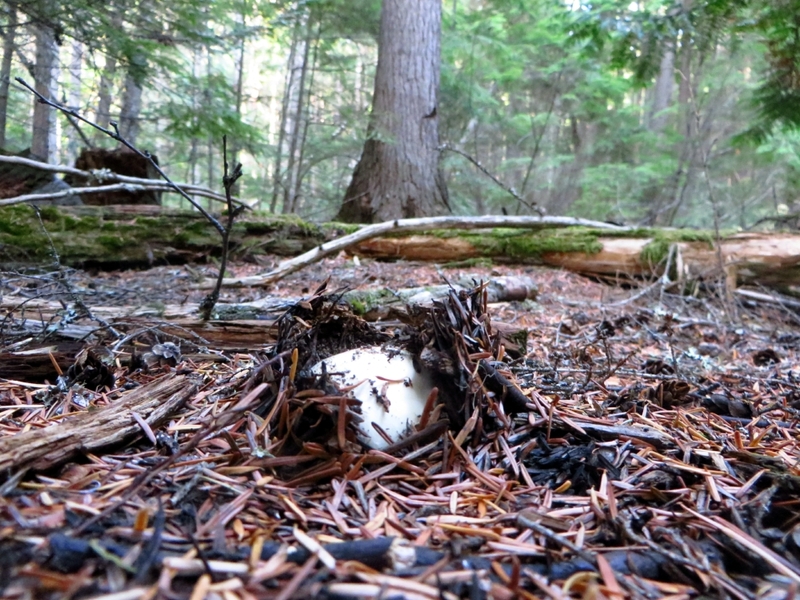 Local to Nakusp, Chanterelles, Lobster and several other varieties sprout up inexplicably in pockets throughout the forest. Many locals covet their spots; at least those that haven’t been decimated by the biggest competitor to mushrooms: forestry. 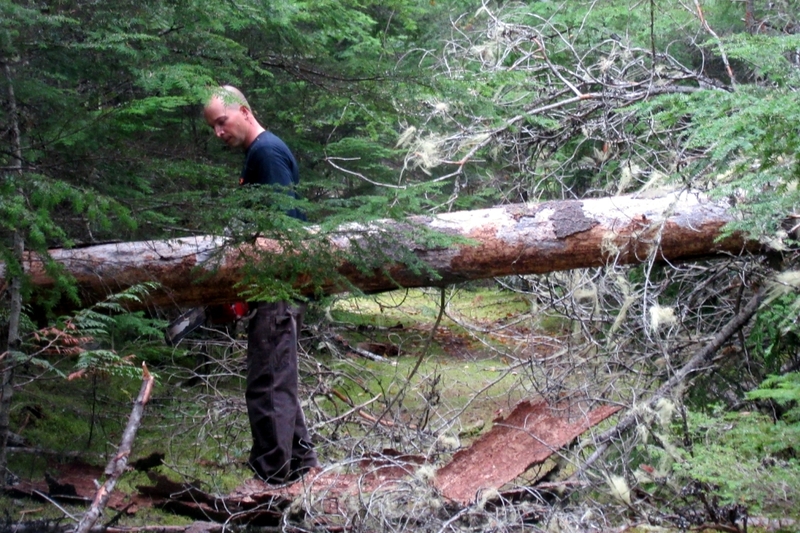 Logging is one of the highest paying primary industries in the Kootenays, yet it poses the biggest threat to the niche industry of mushrooming. 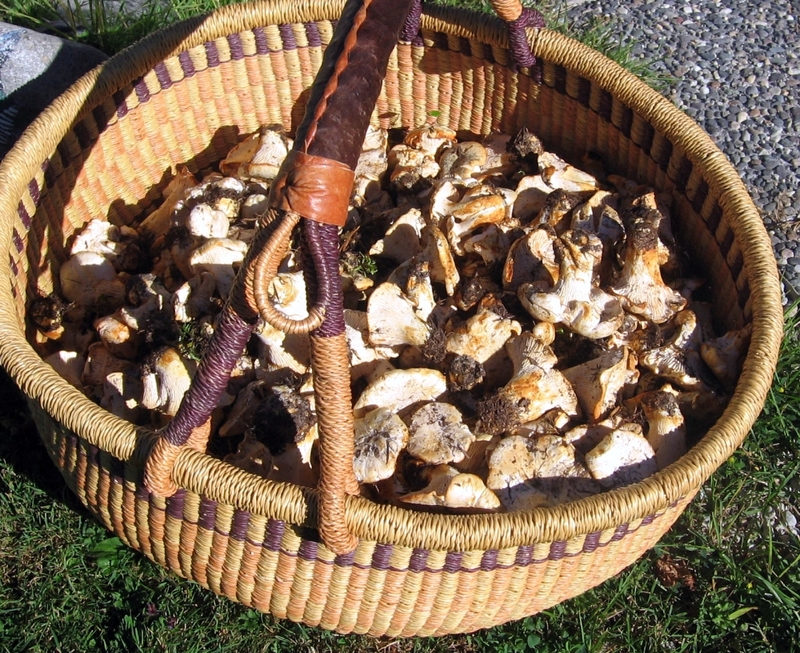 Mushrooms are a multi-million dollar industry bringing tourists, pickers and buyers to the area. During September and October, the streets are lined with vehicles belonging to people who are in town because of this natural resource. They are buying gas, groceries and other supplies and are staying in hotel rooms and going out to dinner. More dollars are being pumped into the local economy, but all of it is threatened by clearcut logging. Janis Dahlen of Jan and Dan’s Mushroom Station echoes the same sentiment. 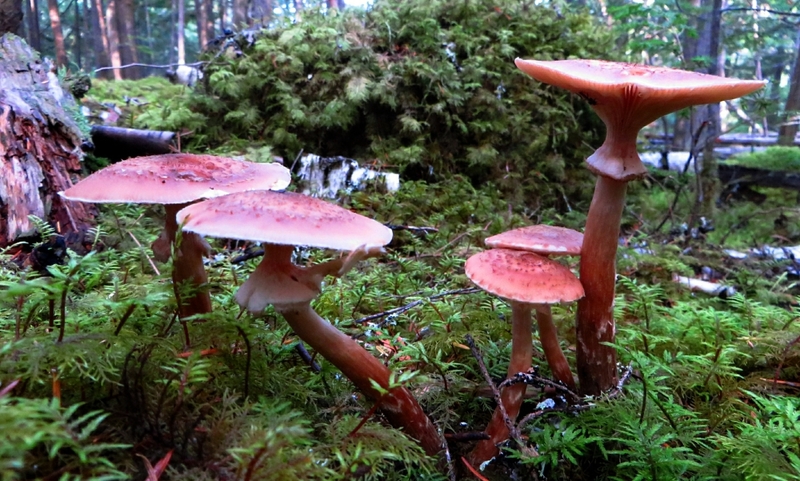 Next week I will talk about habitat, harvesting, grading and manipulative pricing of the Pine Mushroom.